Yes, we drink a lot of Zinfandel. It’s a good value wine, both at the low end (price-wise) and the high end (high end of the Zinfandel range). It’s also a grape that lends itself to different styles, from big bold fruity wines to more complex layered wines, all of which can be very tasty. 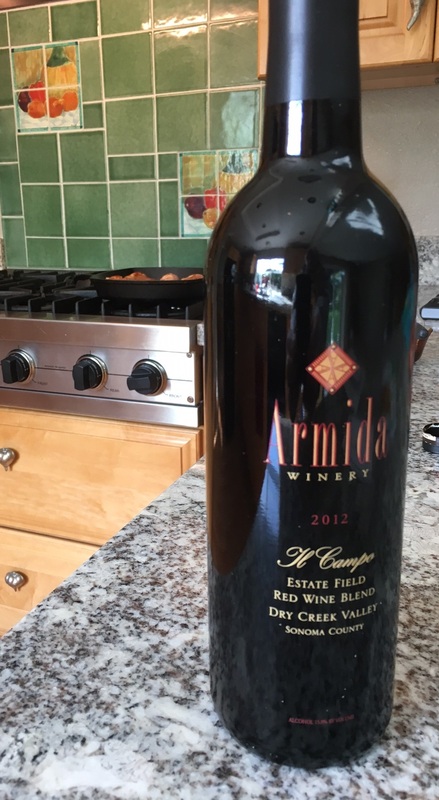 The Il Campo is an excellent Zinfandel blend from Winemaker B at Armida. It’s a field blend, so it’s a bit difficult to say how much of what went in, but likely it’s somewhere around 75 – 80% Zinfandel. Donkey and Goat is relatively new to us, with our first and only visit there 2 years ago. 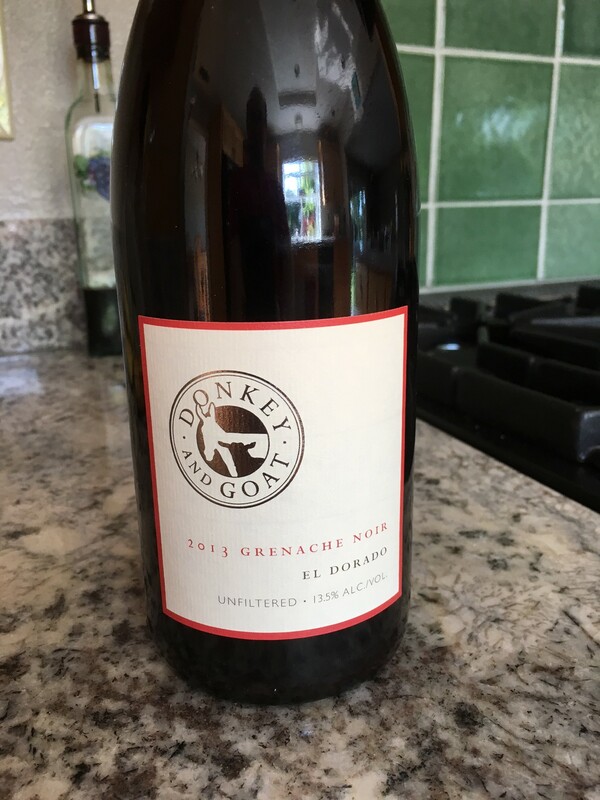 A Berkeley winery, sourcing grapes from all over Northern California, this Grenache was very good, surprisingly good. 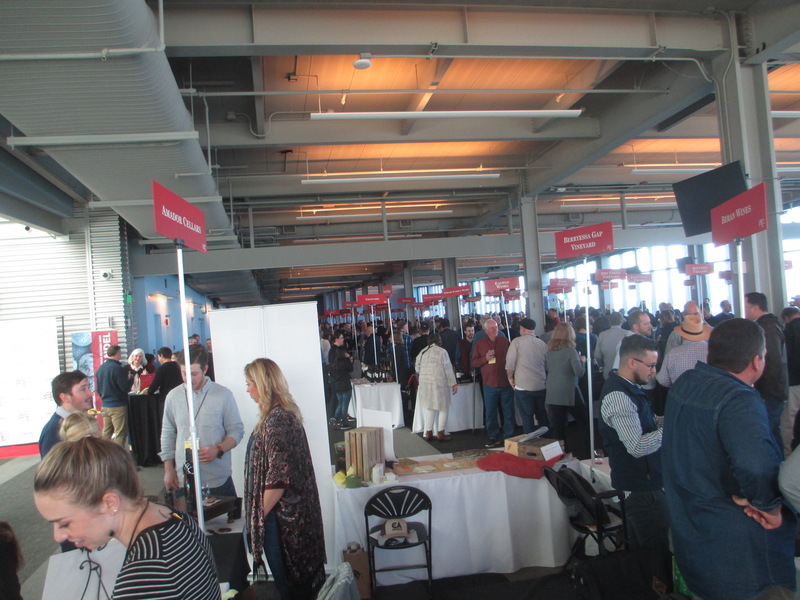 Actually, you’ll see Grenache (or Garnacha from Spain) mentioned in a couple of future posts. 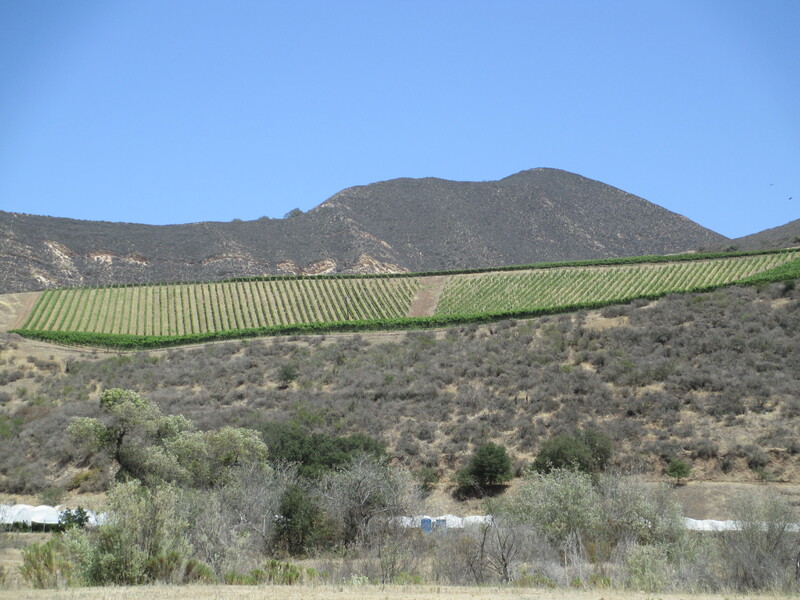 Grenache, while one of the big three Rhone grapes — Grenache, Syrah, Mouvedre — is rarely made as a single varietal, especially in California. Syrah, yes, but not Grenache, nor Mouvedre. When Grenache is grown well and made well, it’s a really nice treat. Not too big a wine, not too big body, really good with food. 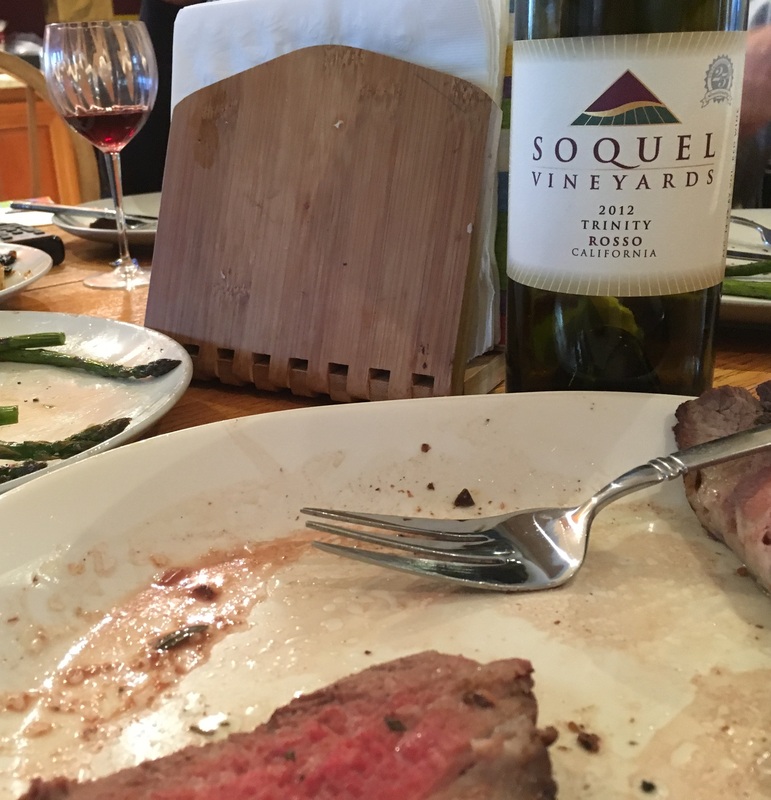 The Soquel Trinity is consistently, year after year, one of the best low end red blends, now matter what grapes they’re using. Soquel Vineyards is either number 1 or 2 on our Santa Cruz Mountains wineries hit list. They’ve been building great wines, and providing a great tasting experience, for a couple of decades now, longer than most in that area. We’ve talked about their wines and tasting room a few times in this blog; just search on Soquel to find those posts. 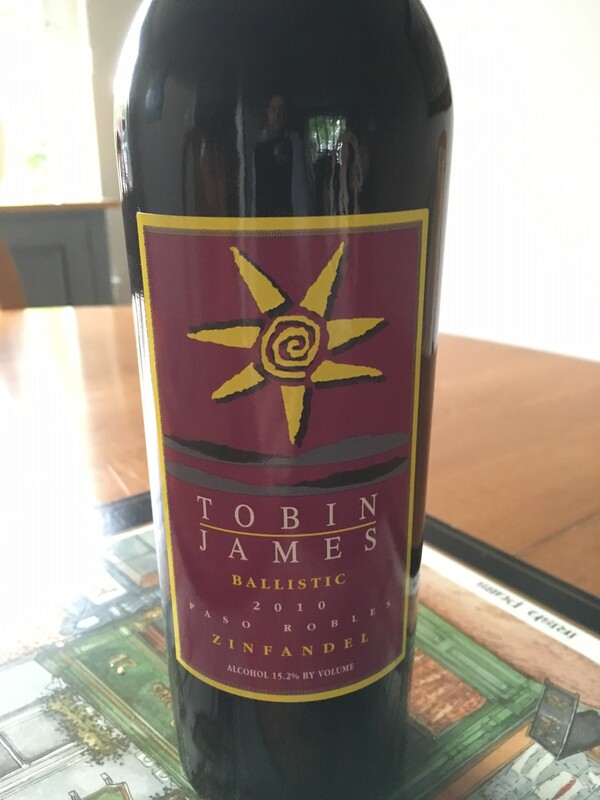 The Ballistic Zin is the flagship for Tobin James, a classic big juicy jammy Zinfandel from the East side of Paso Robles. They’re almost the last winery heading east on Hwy 46, but worth the extra couple of miles to visit the tasting room. 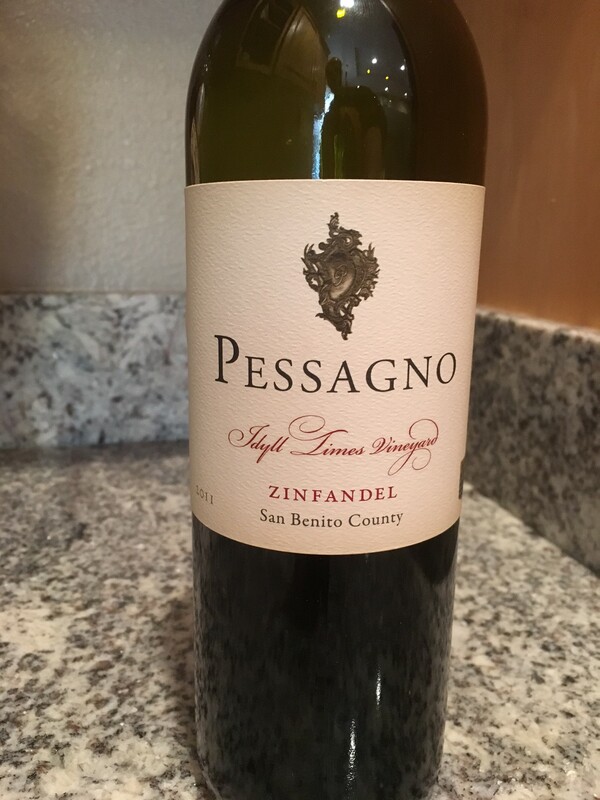 This entry was posted in wine tasting and tagged Armida, Donkey and Goat, grenache, Pessagno, Soquel Vineyards, Tobin James, zinfandel on July 23, 2016 by vvblogman. Zin and Pinot and Pints, Oh My! 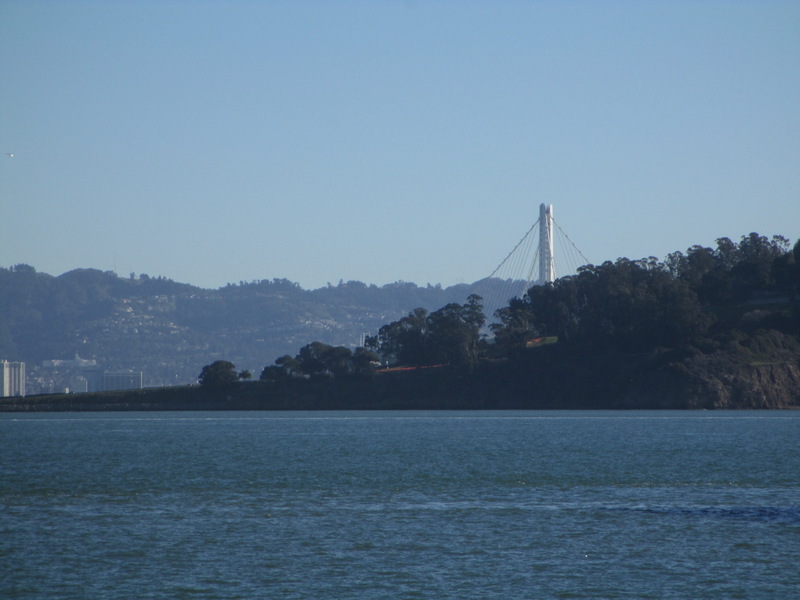 My cousin came to town between Christmas and New Years Day, and had one day for sightseeing with us. We hadn’t seen Diego for about 13 years, as he’s from the branch of the family that’s based in Argentina, although he’s currently living in Spain. He was traveling with his girlfriend who, as it turns out, is currently living and teaching English in Spain, but grew up only 30 minutes from us here in the Bay Area. We decided to spend the day up in Sonoma County, eating and drinking and seeing some of the most beautiful countryside in the world, and also seeing our boys and their families. 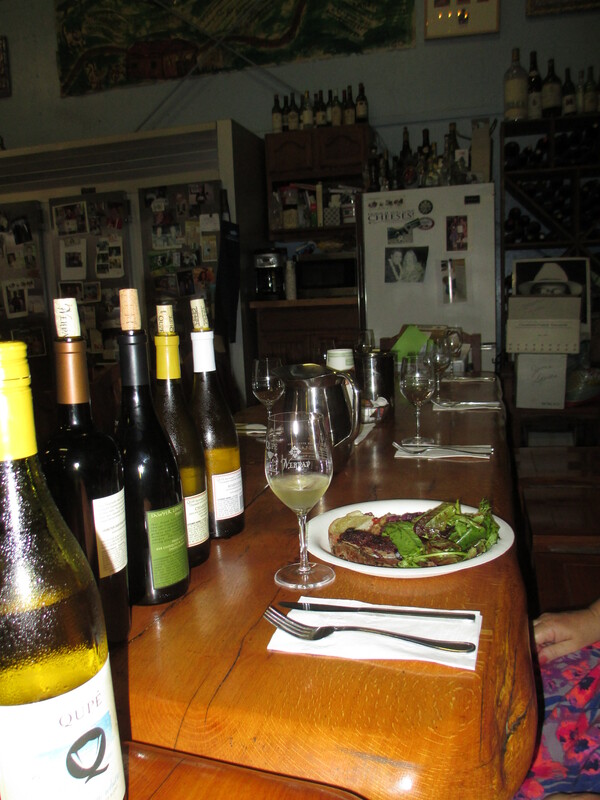 Wine tasting at Armida was an easy choice, because our son Brandon, aka Winemaker B, is the winemaker at Armida. 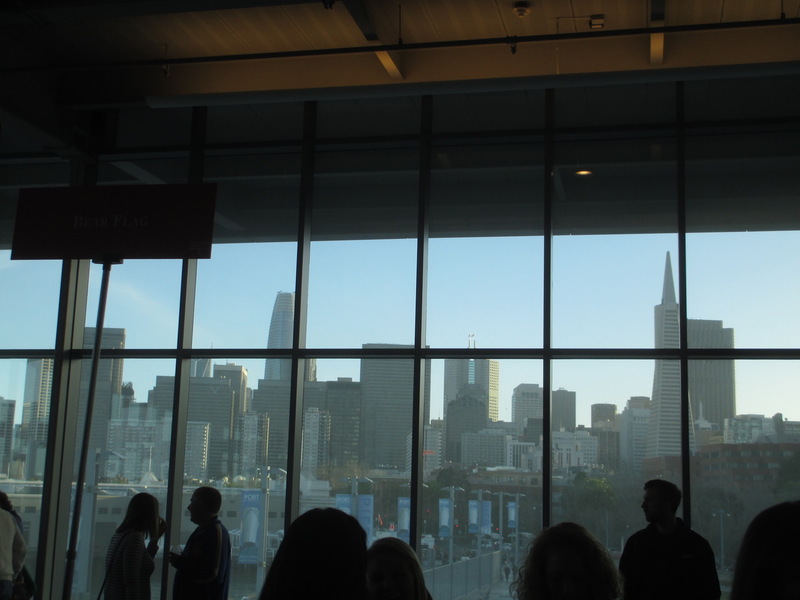 Moreover, the views are great, and so is the wine. 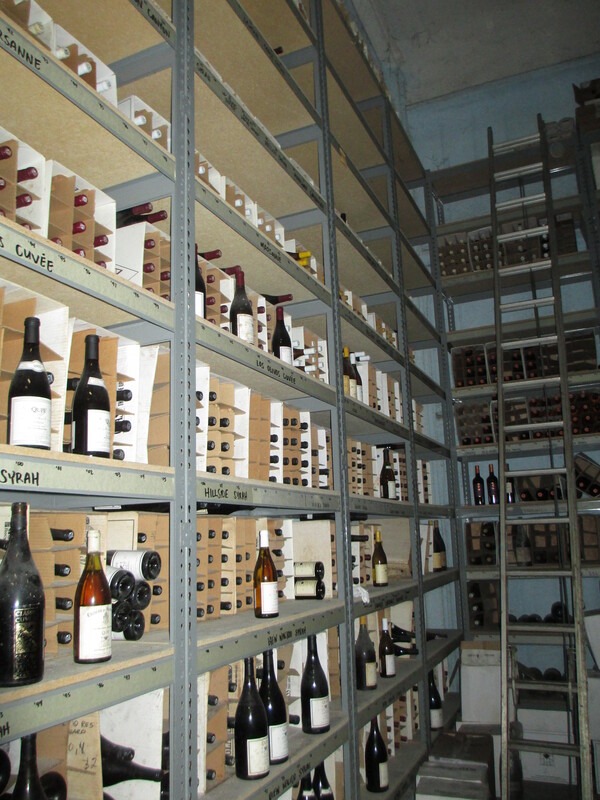 Brandon gave us a tour of Armida, which started with a quick taste in the tasting room, and finished there as well. The zinfandels were a hit with our guests, and a bottle of the Reserve PoiZin (with the coffin package) went home to Diego’s girlfriend’s family. 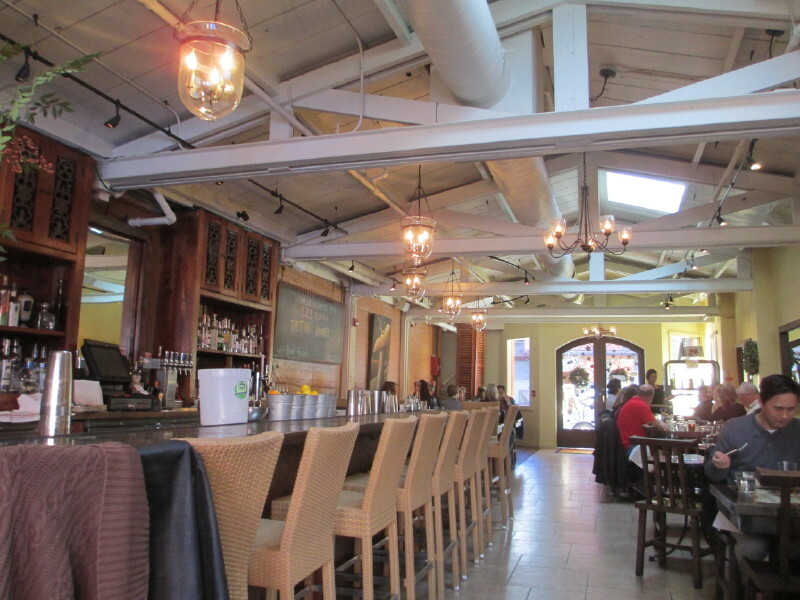 Matteo’s Cocina Latina in Healdsburg serves some of the best Mexican food in the Bay Area. Lunch at Matteo’s was another easy choice. Great Mexican food, but not the conventional Mexican-American fare. This is a restaurant that has been in the top 100 in the Bay Area according to the San Francisco Chronicle, which is a pretty elite list given the quality of food in the Bay Area. We had time for another winery between lunch and the Armstrong Redwoods, and so wanted something relatively convenient to the drive from Healdsburg to Guerneville. This narrowed down our winery choices to only about 50. Woodenhead was chosen because of their emphasis on Pinot Noir and Zinfandel, because we had recently opened our last bottle of Woodenhead Pinot Noir and needed to buy more, because they have a nice, cozy, comfortable tasting room and because the view from the deck outside the tasting room is quite nice. Certainly our stop there didn’t disappoint anyone. From there we went to the Armstrong Redwoods. 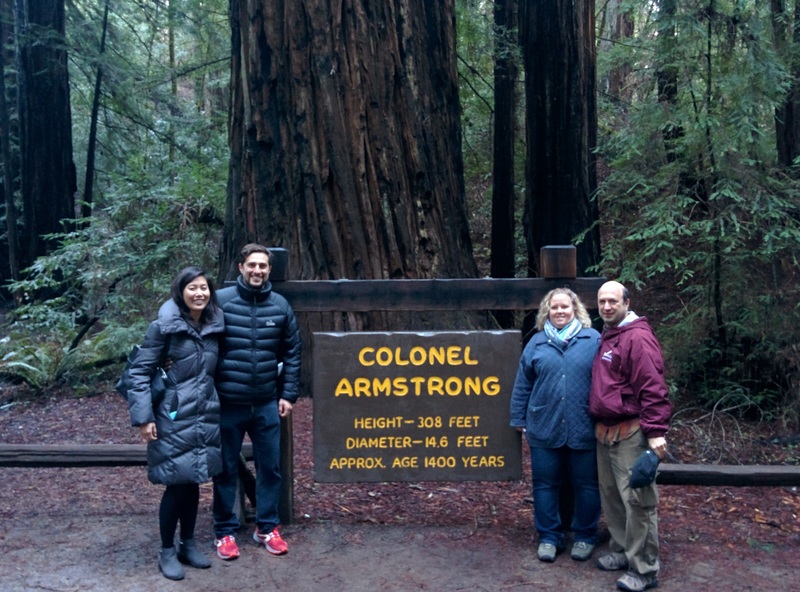 Until a visitor stands next to one of those Coastal Redwood trees, the numbers that you read – hundreds of feet in height, tens of feet in diameter, more than 1,000 years old – are just numbers. Then you experience it in person, and realize what those numbers mean. It’s awe inspiring, and spiritual, in a way that can only be felt, and not read about. Dinner was a family gathering at the Hopmonk Tavern in Sebastopol. While the Russian River Valley and surrounding areas are now known mostly for wine and redwoods, this was once a great area for growing hops and brewing beer. Well, the hop vines are gone, but this area is now one of the great areas for craft beer brewing in California. Hopmonk brews a few of its own, but also has other local craft beers on tap. All the adults at the table had the Hopmonk brews, and we were quite impressed. On top of that, the food was very good, and they were able to easily accommodate and provide good service to a large group, ranging from 2 year olds to their grandparents. Finally, even though it was the middle of winter, we needed dessert, and Sub Zero beckoned. This is a new ice cream store in the Barlow center, which makes their ice cream to order by combining the raw ingredients in a bowl, mixing them together and then freezing them on the spot using liquid nitrogen. Their claim is that this technique produces a creamier ice cream, and since texture is a big part of taste, this should improve the ice cream. The ice cream was very good, but even better was eating with everyone around the fire pit outside the store, then working off the ice cream by chasing a granddaughter around the area, and being chased by her. I’m not sure a day could be any better. 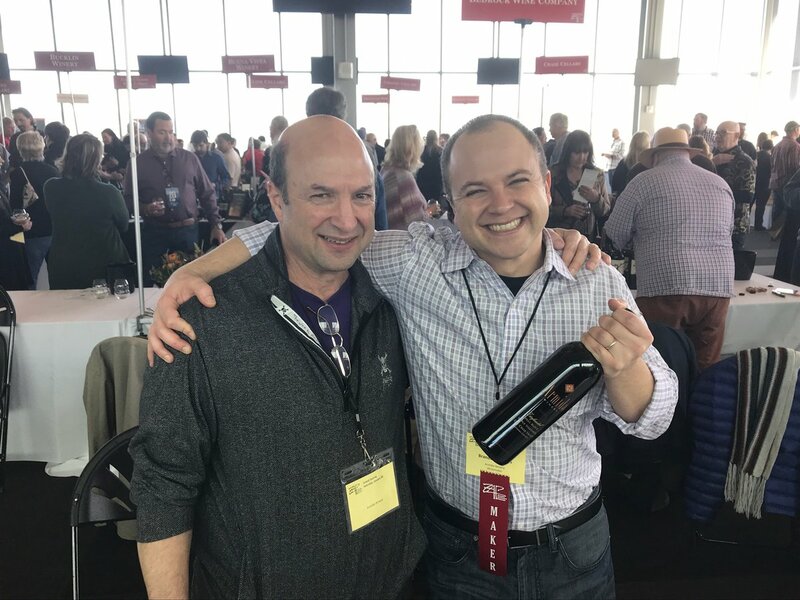 This entry was posted in wine travels and tagged Armida, Armstrong Redwoods, Hopmonk Tavern, Matteo's, Russian River Valley, Woodenhead on January 17, 2016 by vvblogman.